Posts LONDON DUSK – FREE – Celebrating 1 Month Book Birthday! 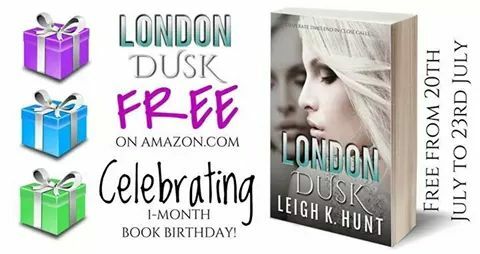 LONDON DUSK – FREE – Celebrating 1 Month Book Birthday! London Dusk is free for a limited time in celebration of its release a month ago. So if you want to read this little novella that has so far been garnering 4 and 5 star reviews – now is the time to get your hand on it! AND – if you really want to – I would appreciate you all spreading the word! Also – keep your eyes peeled on TIJUANA NIGHTS, as that’s having a book birthday – and I’m giving away two hard copies on Goodreads! That’s all for now. Far too much excitement. I think I need wine. Previous ArticleTIJUANA NIGHTS IS RELEASED! Next ArticleTIJUANA NIGHTS – FREE – 1 month book birthday!